It's Wednesday, which means it's time again for our weekly installment of new arrivals. For today's roundup, I've searched high and low to find the best in designer and fast-fashion pieces—all of which just hit stores—so that you can be the first of your friends to wear them. From sweaters and outerwear to tops and dresses to shoes and bags, I have something for every style type and price point. Now your only problems will be narrowing down your favorites and making room in your closet. So what are you waiting for? Shop my picks of the week below, and don't forget to check back next Wednesday for another batch of fresh fashion finds. Reformation's outerwear did not disappoint this season. Retro vibes made just modern enough. Tiger print is arguably fall's most fun trend. Eighties glam in earring form. If you love to wear all black, consider a pop of color in your frames. The latest It sweatshirt from Vetements. The perfect top to pair with jeans this fall. I'm as into this styling as I am into the top itself. Fall's patent leather trend is perfect for rainy dats. 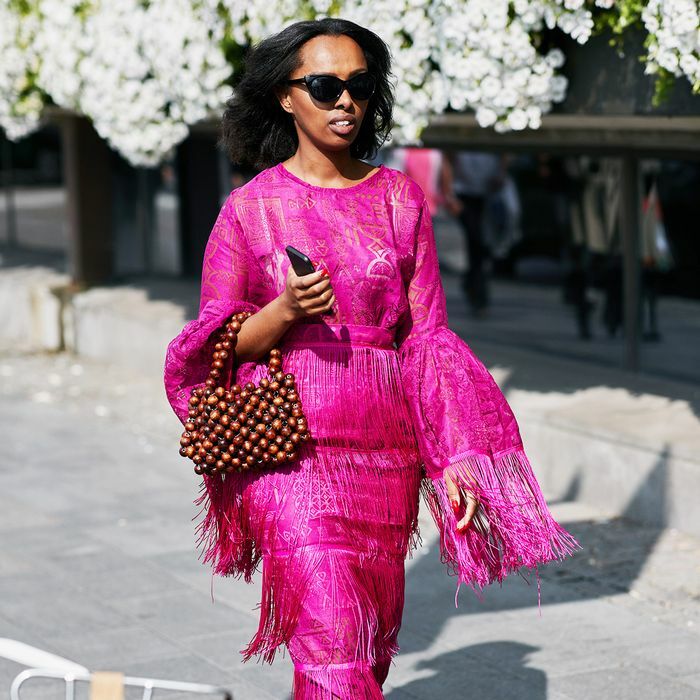 A straw bag you can actually wear after summer is over. Pair this with ankle boots for the perfect transitional outfit. Attico is not messing around this season. I'm just waiting to see which street style star wears this for fashion week. Anyone in need of a cocktail dress? I love all things crystal this season, but these shoes are especially good. Everything Maryam Nassir Zadeh makes is just cool. I can't get over all of Prada's flame pieces for the season.